MOSCOW, February 6. /TASS/. 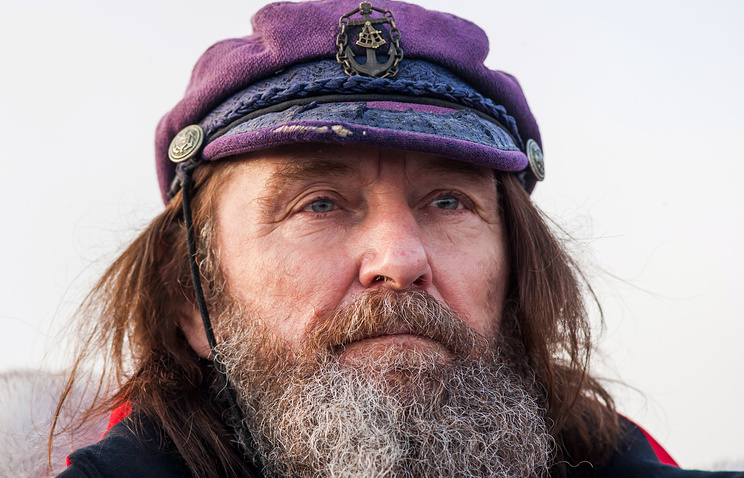 Russia’s renowned traveler, Fyodor Konyukhov, has passed the halfway mark on the individual round-the-world rowboat voyage across the Southern Hemisphere, his son and chief of the expedition headquarters Oscar Konyukhov told TASS on Wednesday. "The AKROS boat, which Fyodor Konyukhov is navigating, has traveled over half of the route’s first stage. Setting off on December 6, 2018 from New Zealand’s Dunedin, the Russian traveler has covered a distance of 5,500 kilometers from Moscow to Lake Baikal in a rowboat in over two months," he said. During this journey, the Russian rower set a new intermediate record for the longest passage across the Southern Ocean (or the Antarctic Ocean) in a rowboat spanning 62 days, breaking the previous mark of 59 days by French traveler Joseph Le Guen. The round-the-world expedition will have three stages: Dunedin, New Zealand - Cape Horn, Chile; Cape Horn - Cape Leeuwin, Australia; and Cape Leeuwin - Port Dunedin. The entire route will be more than 16,000 nautical miles (27,000 kilometers). British boat designer Phil Morrison created Konyukhov’s AKROS vessel exclusively for the expedition. The nine-meter rowboat has watertight compartments capable of storing up food and three independent power generation systems, including solar, wind turbine and an innovative EFOY fuel cell power plant. The boat is also equipped with two satellite phones, a satellite tracker and several communication and navigation systems. Konyukhov, 67, has completed five globetrotting missions, crossing the Atlantic 17 times and becoming the first Russian who climbed the seven highest summits in six parts of the world, and also traveled to the North and South Poles. In 2007, Konyukhov circled the Southern Hemisphere in sailboat dubbed the ‘Scarlet Sails’ through the waters of the Atlantic, Indian and Pacific Oceans. The 102-day voyage did not involve port calls.